A trip to the Old Quarter in Hanoi, Vietnam is ideal for any traveler before taking a Sapa Tour From Hanoi. Set just a few minutes’ walk from Hoan Kiem Lake, the Old Quarter is an intricate warren of streets laid out in a millennium-old plan, selling almost everything under the sun. 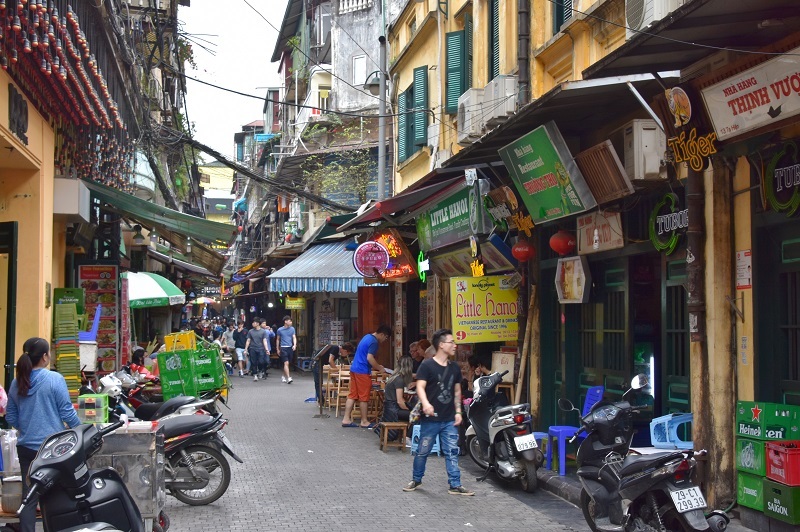 The Old Quarter is a reminder of Hanoi’s storied past – its history has long been tied to the ebb and flow of conquerors and traders over the past thousand years. 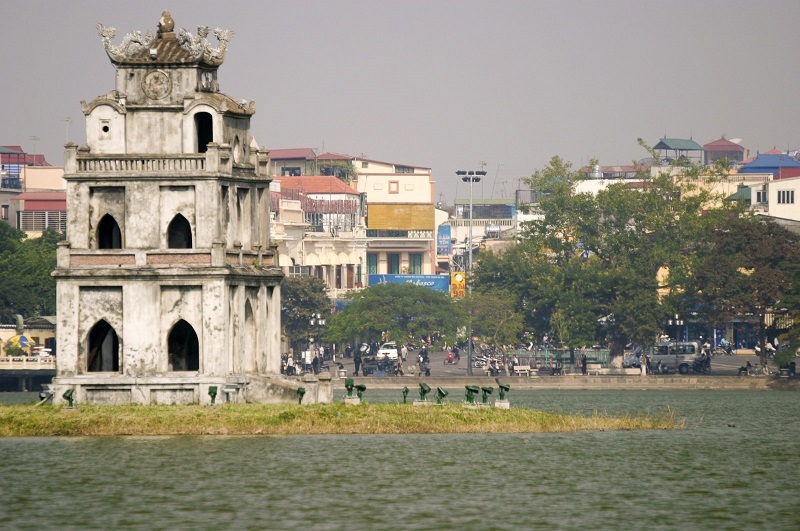 When the Emperor Ly Thai To moved his capital to Hanoi in the year 1010, a community of craftsmen followed the imperial entourage to the new city. The craftsmen were organized into guilds, whose members tended to stick together to protect their livelihoods. Thus the streets of the Old Quarter evolved to reflect the different guilds that called the area home: each guild concentrated their business along an individual street, and the streets’ names reflected the business of the guilds that lived there. Thus are the Old Quarter’s streets named to this day: Hang Bac (Silver Street), Hang Ma (Paper Offerings Street), Hang Nam (Gravestone Street), and Hang Gai (silk and paintings), among others. 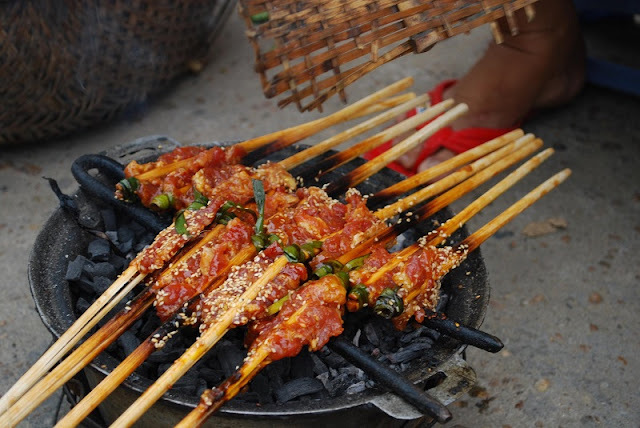 Hanoi Old Quarter is also heaven of street foods ranging from the snacks to main dishes that get you full up all night or sweet deserts for desert lovers. Everyone can find their favorite when strolling around Hanoi’s Old quarter. All the best street food are being sold here and you can’t try it all in one day I’m sure of this since there are too many good things to choose from. If you’re not staying in one of the Old Quarter’s hotels or the local backpacker hostels, you can easily get a cab to take you there – you can simply ask to be let down at Hoan Kiem Lake, preferably close to the red bridge. From there, you can cross the street north to Hang Be, and begin your voyage through the Old Quarter by foot. Your vacation will be more perfect than expected when traveling with us. 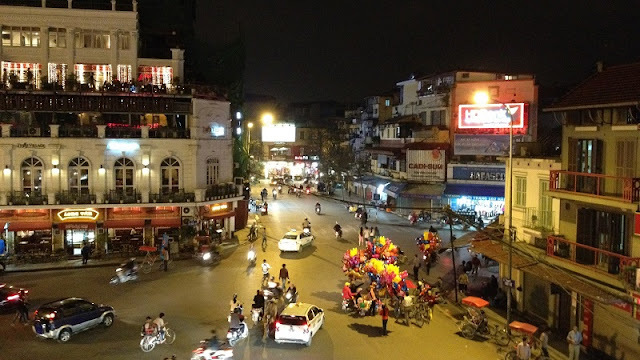 In addition to experiencing interesting activities in the northern mountains - Sapa, you will also discover a unique culture of Hanoi capital as well as the variety of cuisine here.